My whole thoughts are now bent on making a safe retreat out of this country; however, I hope we shall not be obliged to leave it until we have had one bout more for the honour of America. The commissioners this day leave us, as our good fortune has long since; but as Miss, like most other Misses, is fickle, and often changes, I still hope for her favors again; and that we shall have the pleasure of dying or living happy together. Neglected by Congress below; pinched with every want here; distressed with the small-pox; want of Generals and discipline in our Army — which may rather be called a great rabble — our late unhappy retreat from Quebec, and loss of the Cedars; our credit and reputation lost, and great part of the country; and a powerful foreign enemy advancing upon us; are so many difficulties we cannot surmount them. My whole thoughts are now bent on making a safe retreat out of this country; however, I hope we shall not be obliged to leave it until we have had one bout more for the honour of America. I think we can make a stand at Isle-aux-Noix, and keep the Lake this summer from an invasion that way. 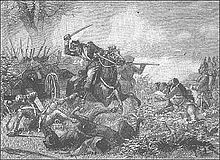 We have little to fear; but I am heartily chagrined to think we have ldst in one month all the immortal Montgomery was a whole campaign in gaining, together with our credit, and many men and an amazing sum of money. The commissioners this day leave us, as our good fortune has long since; but as Miss, like most other Misses, is fickle, and often changes, I still hope for her favors again; and that we shall have the pleasure of dying or living happy together. Reportedly asked to a captured captain from the Colonial Army, as quoted in The Picturesque Hudson (1915) by Clifton Johnson; the captain is said to have replied, "They would cut off the leg that was wounded at Saratoga and bury it with the honors of war, and the rest of you they would hang on a gibbet." 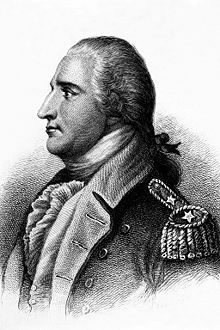 Compounding the agony was the treason of Benedict Arnold, who conspired to sell the plans of West Point- the crucial fortress in Washington's Hudson Highlands defense system- to the British. While some believed the conspiracy's failure afforded, as Greene said, "the most convincing proofs that the liberties of America are the object of divine protection," others wondered whether the cause would survive. 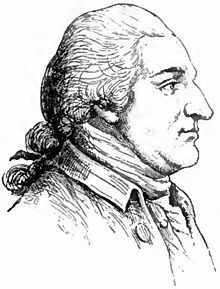 If Arnold, who served so nobly at Quebec, at Valcour Island, and during the Saratoga campaign, had lost all sense of honor and patriotism, how many others might follow his treasonous path?